"Ghost Stories... weird stories ... and murders too! 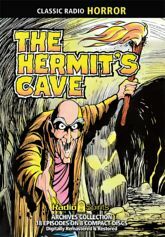 The Hermit knows of them all! Turn out your lights!" Once again, these digitally restored and remastered episodes are available from the Radio Spirits Archives Collection - featuring re-releases of some of our most popular long-discontinued collections.